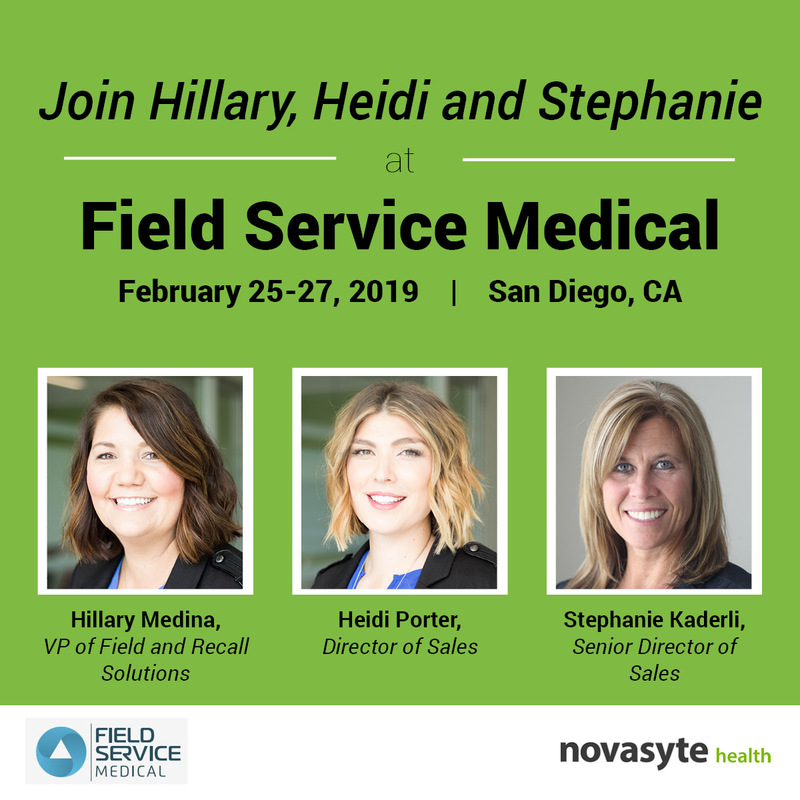 Novasyte is a Sponsor of this year's Field Service Medical, the Medical Device Service Conference, happening in San Diego, CA from Monday, February 25 through Wednesday, February 27. The conference is for MedTech leaders focused in customer success, service and support. 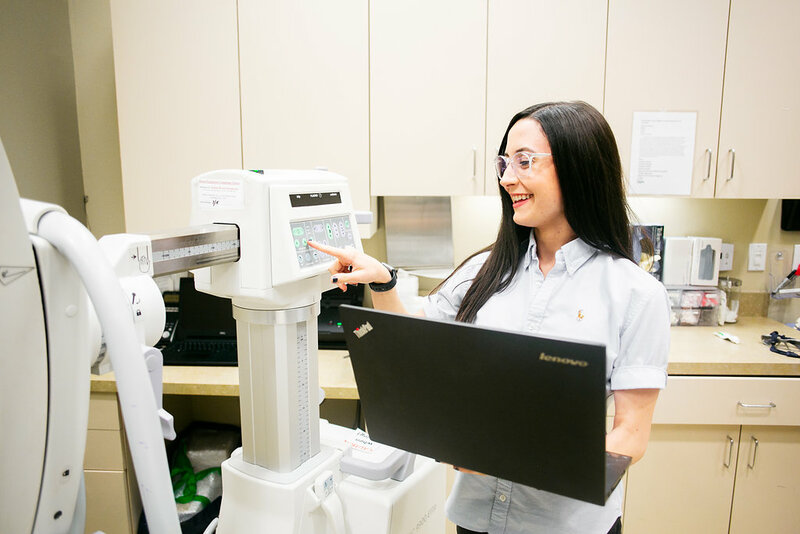 A few of our team members will be at the show, including including Hillary Medina, our Vice President of Field and Recall Solutions, Heidi Porter, our Director of Sales - Northwest, and Stephanie Kaderli, our Director of Sales - Southwest. 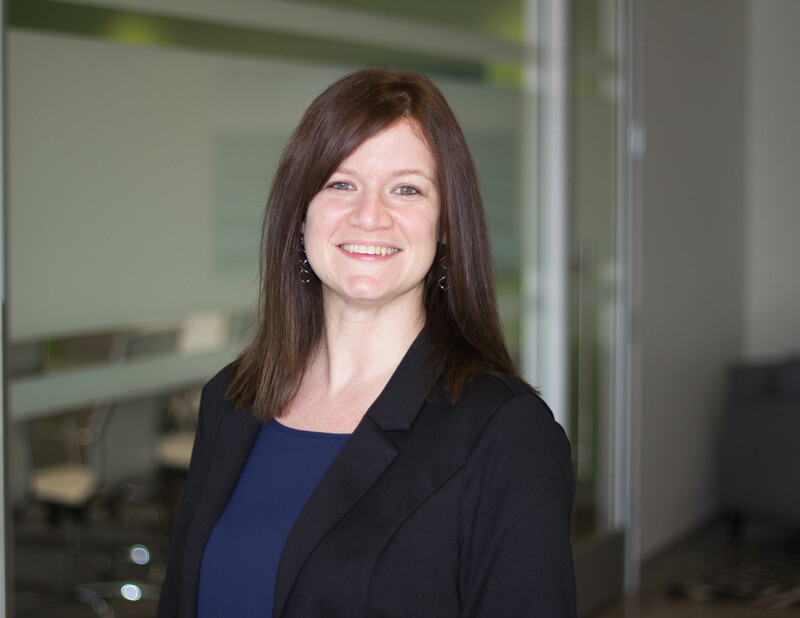 Novasyte is proud to welcome its newest member of the corporate team, Jaimie C. Burke, who officially started her role as Marketing Content Specialist in late January 2019. Learn more about Jaimie with her Q&A session below. 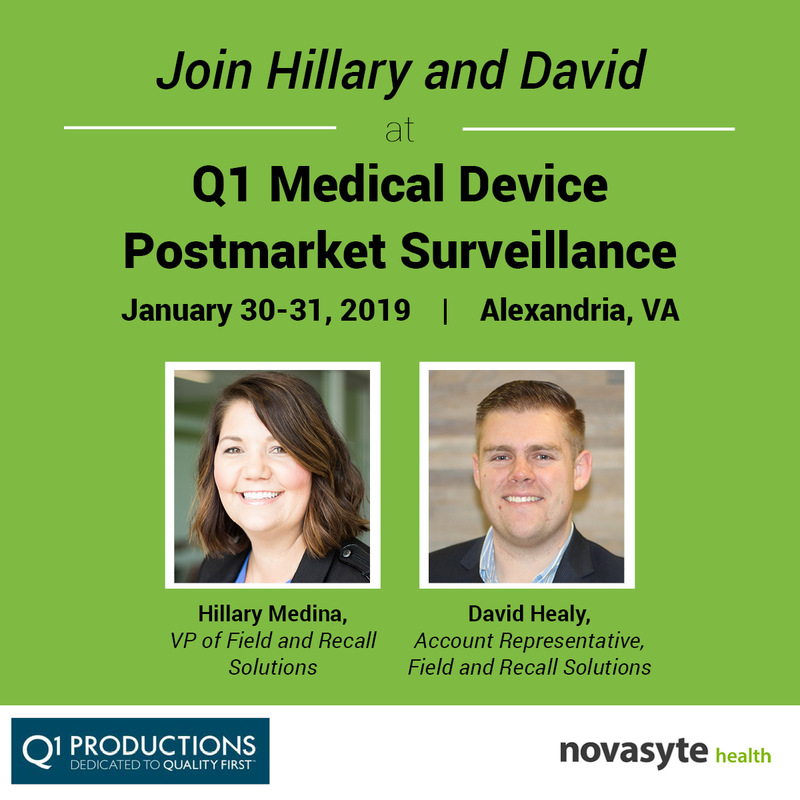 Novasyte is proud to announce we are a key sponsor at the upcoming 5th Medical Device Postmarket Surveillance Conference taking place this week in Alexandria, Virginia. 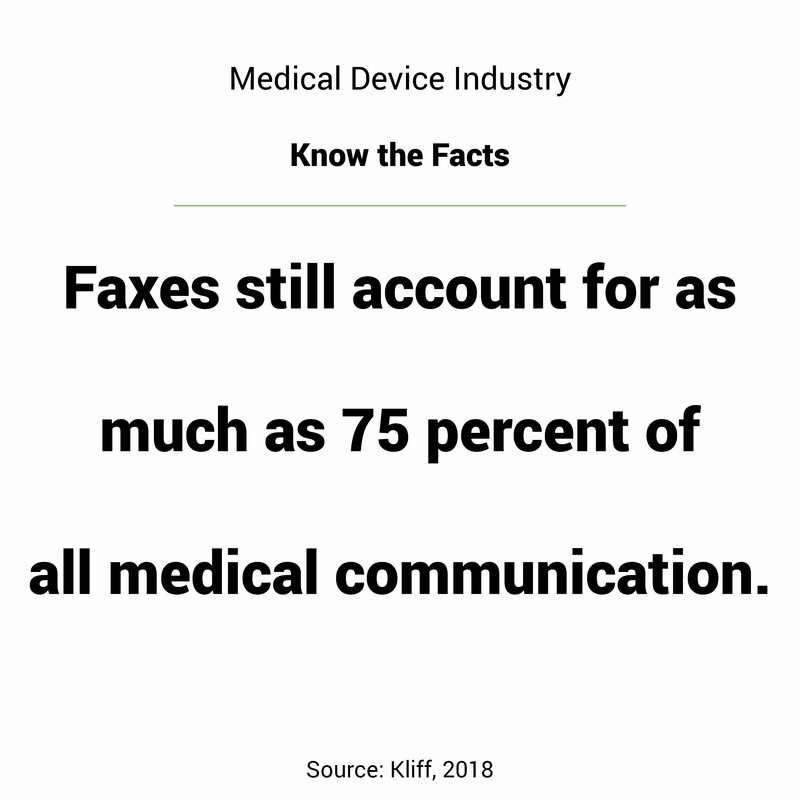 The conferences brings together executive leadership from a wide range of medical device categories, including capital equipment, diagnostic tests, active implantable devices as well as surgical tools. 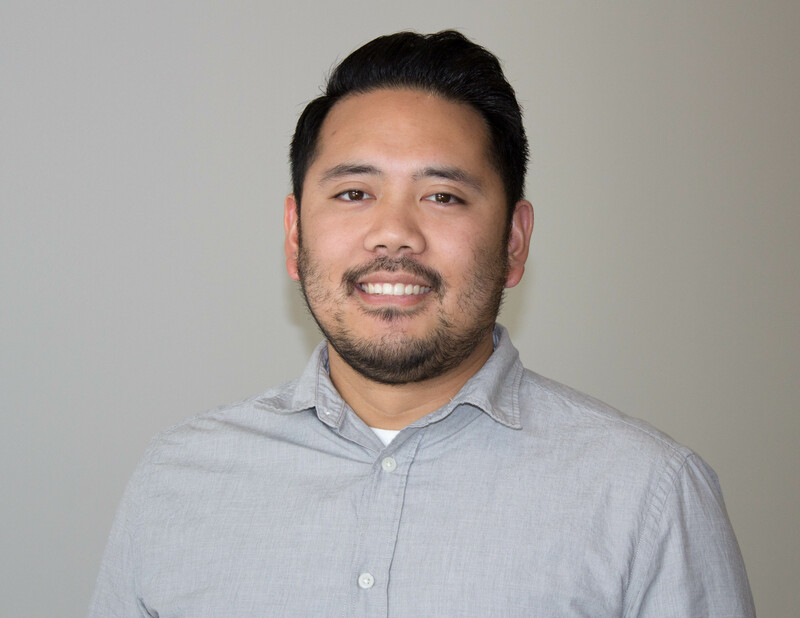 Novasyte is proud to welcome its newest member of the corporate team, Glen Balcita, who officially started his role as Corporate Scheduler in early January 2019. Learn more about Glen with his Q&A session below. 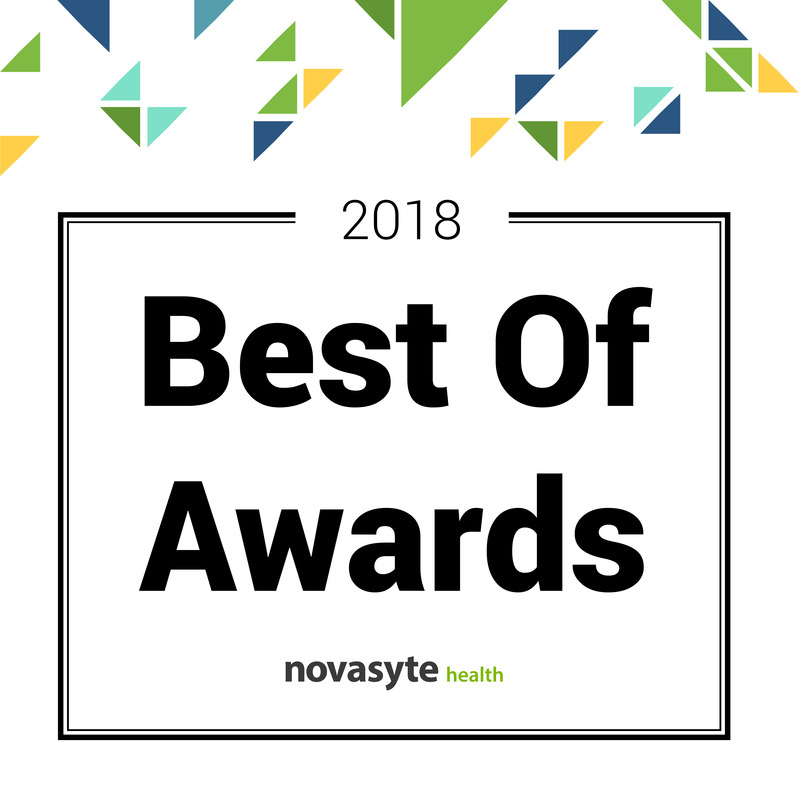 As we kick off 2019, we are very excited to announce we have a newly branded employee recognition program -- The Best Of Awards! Previously named “Consultant of the Week,” we have added value and depth to the nomination process to recognize our top performers. 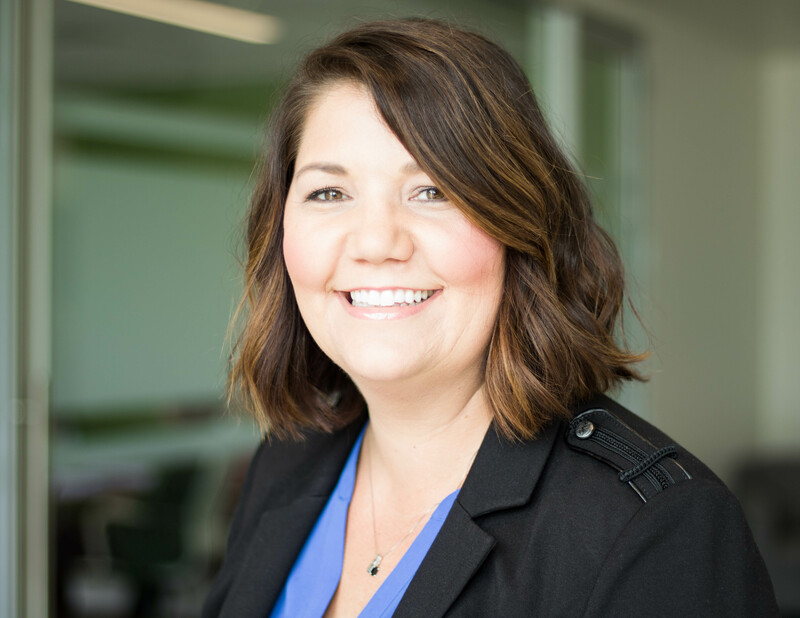 Hillary Medina, Novasyte's Vice President of Field and Recall Solutions, will be speaking at AdvaMed's Recalls from A-to-Z Conference in Washington D.C.
She will help kick off the conference, held on Tuesday, December 4 and Wednesday, December 5, by presenting on: "Strategies for Deploying a Field Team and Integrating your Technologies." Novasyte is proud to support veterans and their family members. We would like to thank every military member and their family for their service and sacrifice. 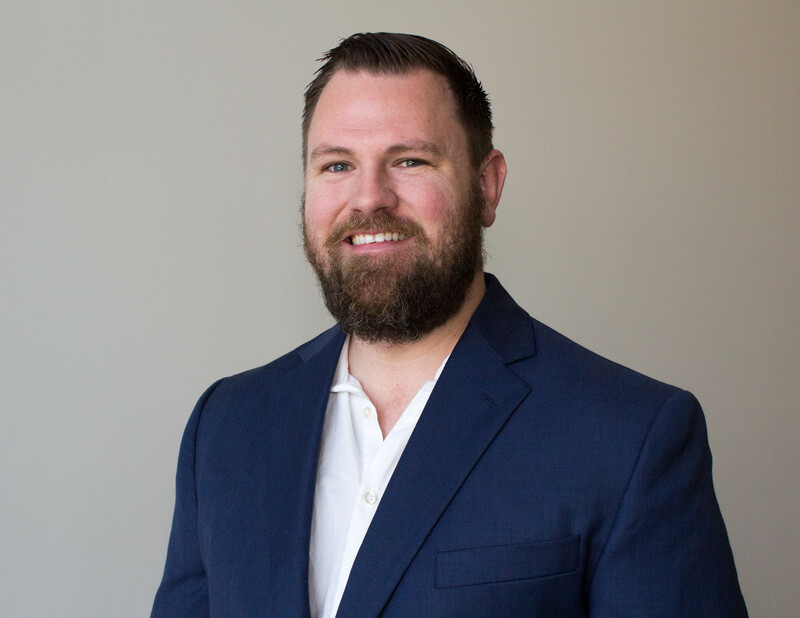 As we continue to celebrate Veteran's Day, hear from one of our former military members about working in the life science industry.